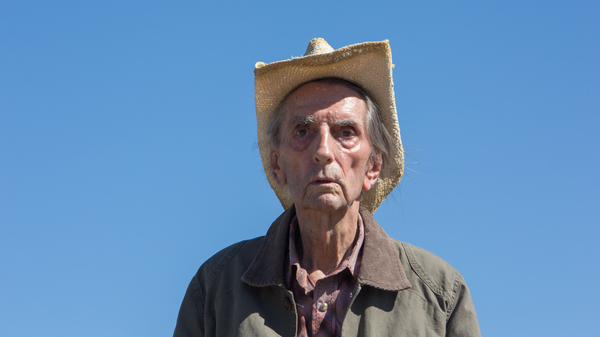 One of America’s greatest character actors, the late, great Harry Dean Stanton, gets the perfect send off in this funny and touching portrait of an ageing maverick staring down mortality and refusing to go gently into the night. Ninety-year-old Lucky (Stanton) lives alone in the outskirts of a small desert town in New Mexico. He likes his little daily routines (smoking, yoga, TV gameshows, more smoking) and his health is not bad, considering he’s getting through over a pack a day. Despite his grumpiness, Lucky is popular among the people he meets on his fixed itinerary – to the diner, the shop and the pub. Having out-drank, out-smoked and outlived all of his contemporaries, everybody is all ears when he has something to say, and everyone gets worried when they notice a change in his mood after an unexpected fall jolts Lucky from his comfort zone. A gentle, wise and ultimately graceful reflection on loss and acceptance, and featuring wonderful supporting turns from David Lynch and Tom Skerritt, director John Carroll-Lynch’s touching debut is a cinematic love letter to its legendary leading man and a fitting homage to Harry Dean Stanton’s life and career. Directions and location information for visiting Watershed in Bristol city centre, plus information about opening hours and accessibility. Eat and drink in our welcoming Café & Bar – childrens’ menu available, great vegetarian choices and many dishes can be made vegan or gluten free. Cinema and event listings and ticket information for the upcoming programme: all the films, seasons, talks, Q&As and special events.